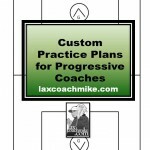 Home / Coaching Products / Customized Practice Plans eBook On Sale! One of the many things we have learned in our over 50 hours of interviews with the top NCAA Lacrosse coaches in the country is that they have changed the way they practice — dramatically. We have taken those philosophies and their drills and put them into a five-day template. We have customized these practices to work for High Schools and Rec Coaches who do not have a coaching staff, or maybe even an assistant coach. 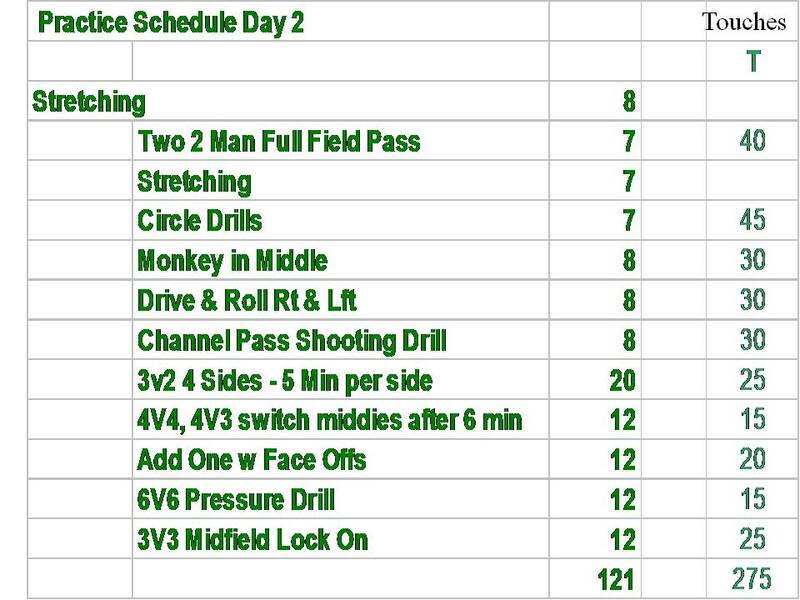 All of these practices designed for intermediate skilled teams, feature drills that are applicable for all team members, and can be run with one or two coaches. 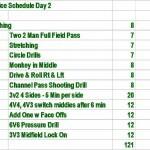 This updated 39 page eBook features five specific days of lacrosse practice plans, including a schedule of each day down to the minute, the amount of touches each player will get per drill, and per practice, and a drawing or schematic of each drill to make it easy for you to work into your practices. We feature 26 drills, and over 250 touches per day, per player with this plan. In addition, even though each of these top coaches has a unique style there are some undeniable common characteristics of their practices. 1. Preparation: You need a plan, at least for the day, or maybe even for the week, or early season, mid-season, day before games, etc. 2. Short Duration of Drills: All of the top coaches suggest that the short attention span of the players is critical, as well as short lines in drills, quick rotations, and as many players engaged as possible. NCAA coaches run their drills from a minimum of seven minutes to a maximum of 12-15 minutes per drill, maximum. 3. All Drills MUST Emulate Game Situations: All of the coaches in our research consistently talk about drills that are snapshots of game scenarios. They might be just seven to fifteen seconds, but realistically prepare the kids for real game situations. 4. Keep it Fun and Competitive: Every coach we have talked to regarding practice has discussed keeping the practices fun as well as competitive and moving. No one likes to stand around and the kids will improve significantly more by doing, rather than watching. 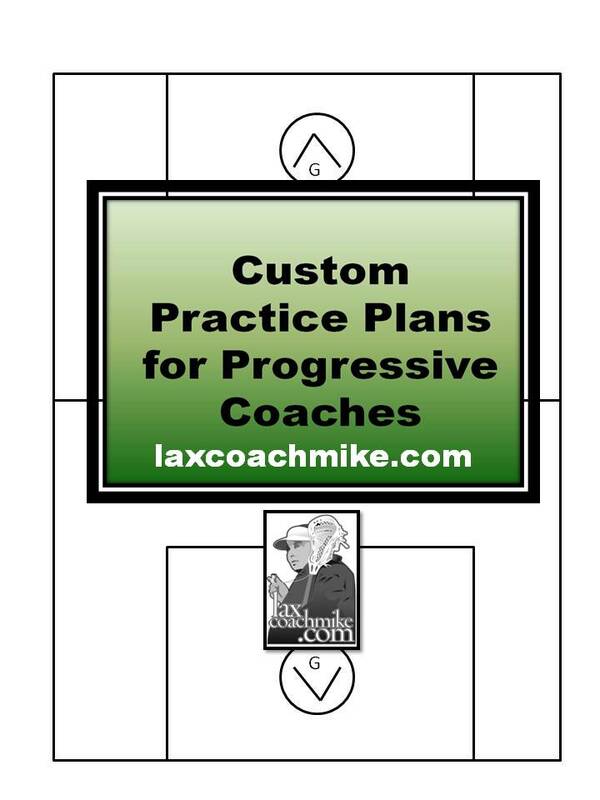 I think five or six of the drills are also featured in our eBook, Changing Philosophies in Coaching Lacrosse, but presented here as part of a detailed plan, some are in our article library from Coaches, but again presented as part of a progressive plan in this eBook.